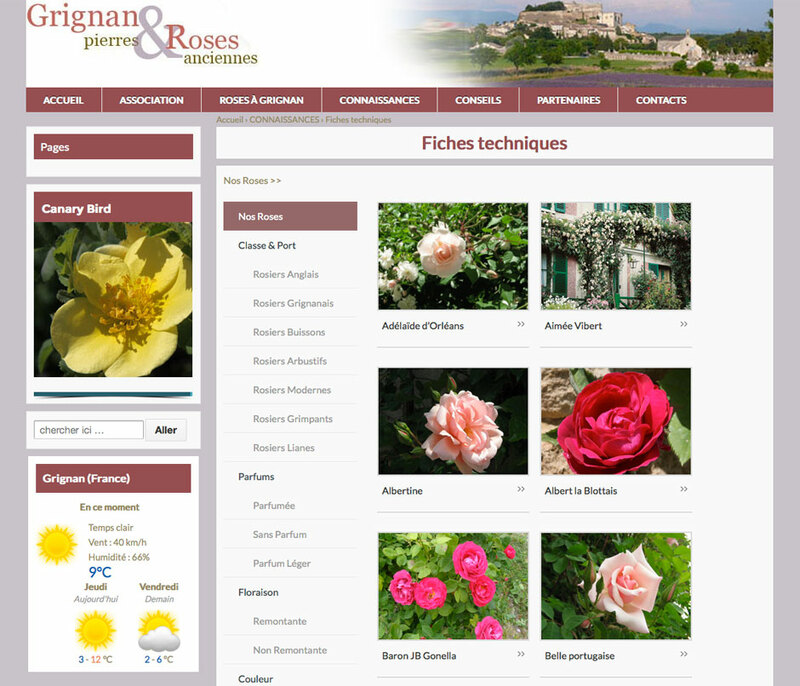 The Association “Grignan, ancient roses” was created in 1991. 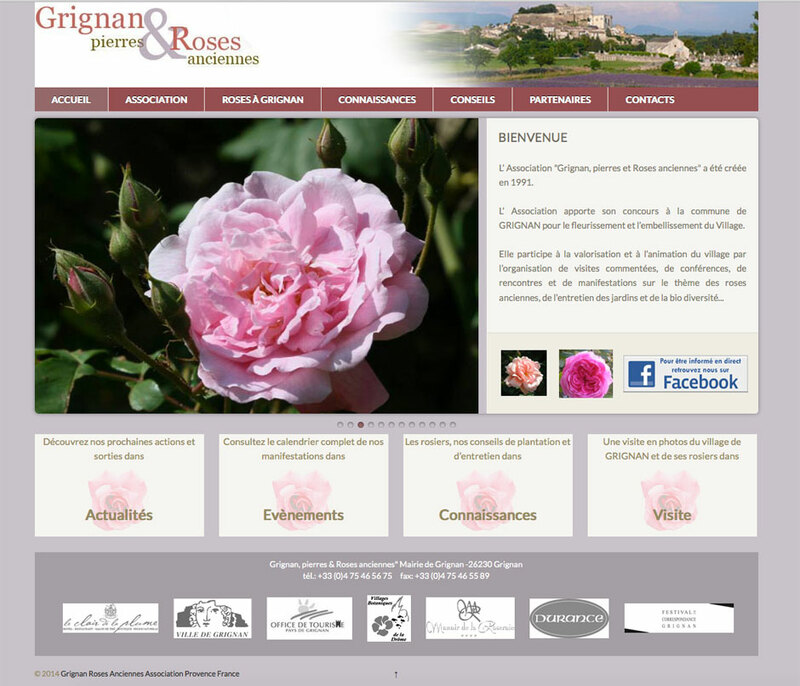 The association is responsible for maintaining the roses in the village og Grignan. 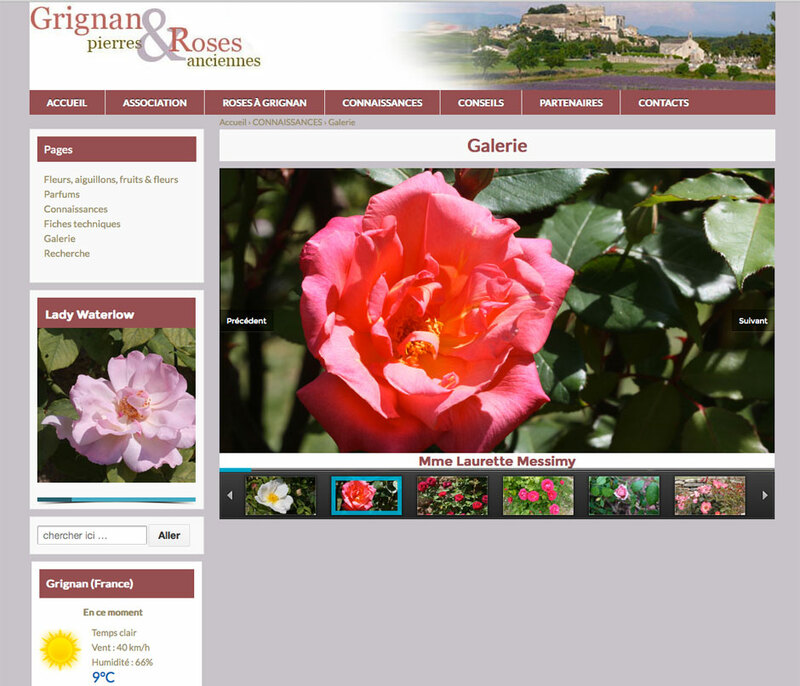 It is involved with presentations, guided visits, conferences and events around the theme of roses. An easy to use and agreeable siter, with numerous resources.. Responsive website creation to work on all devices. Creation of a catalogue of technical files, an agenda dedicated to events, creation of a dynamic tour of the village, and project files for the various types of roses.